After lunch with my editor in New York last week, I got to thinking about the press reception at Spa Caudalie. 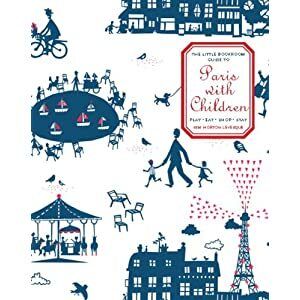 I was reflecting on the experience and was finally able to articulate my publisher's philosophy in my own mind, behind a book like 'Pampered in Paris': small-batch publishing of small-batch travel guides. I pulled up an article on my publisher that night that explained how they had brought back some old classic children's books to print. This group realized that they could be profitable with a print of 5,000 or fewer books. Not a huge profit at that number but still enough margin to print books on subjects about which they were passionate. Our lunch conversation turned to artisanal products available in the city--from donuts and gelato to embroidery. Later that evening, I took the girls to a spot called Grom, where I reluctantly paid $5.25 for a small scoop of gelato. Watching the chef make the creamy treat, however, was worth the price of admission. Through the window we looked on as he transferred a new drum full of gelato to the display case. It couldn't have been more than two gallons. I immediately understood why my gelato was so expensive and so yummy. Since then I have been intrigued with the courage behind a publishing idea like this. 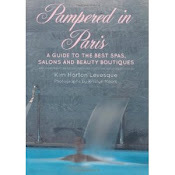 It's the inspiration behind this blog and actually my attitude now towards Pampered in Paris. I'm so happy it's out there and in part because my book advance is non-recoverable, I’m grateful for however many or few that may sell.